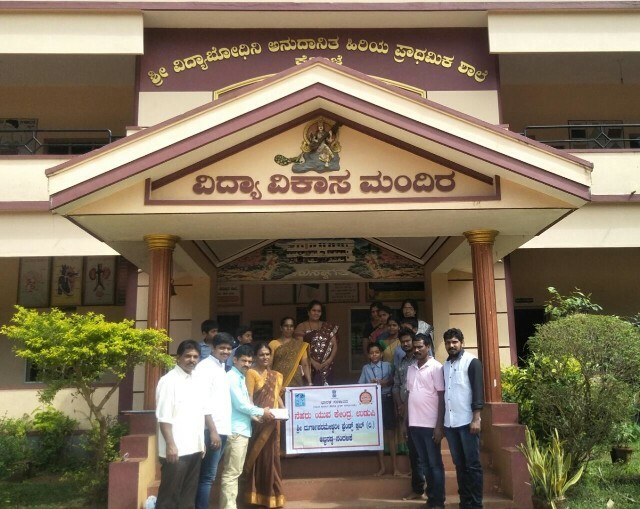 Karkala, 26 Nov: Durgaparameshwari Friends Club®, Nandalike donated first-aid kit and sports materials to Vidyabodini Aided Higher Primary School, Kedinje, here. The Club president Nandalike Rajesh Kotian presented the same to School head teacher Suvasini V Shetty on the occasion. The Sangh convener Abbanadka Sandeep V Poojary, past president Dinesh Poojary Beerottu, secretary Nandalike Prashant Poojary, member Dhananjay Kulal, teachers Pratviraj Ballal and Rekha Pai, honorary teachers Mamata J, Mamata Prakash, Jayalaxmi, Chetana Bharat, Reshma and students were present.